Christmas can be a rough holiday, and country music knows that only too well. So let's forgo the feel-good hits and look instead at the weirder, moodier side of the holiday, filled with broken hearts, Panamanian expatriates, and cowboy Santas. 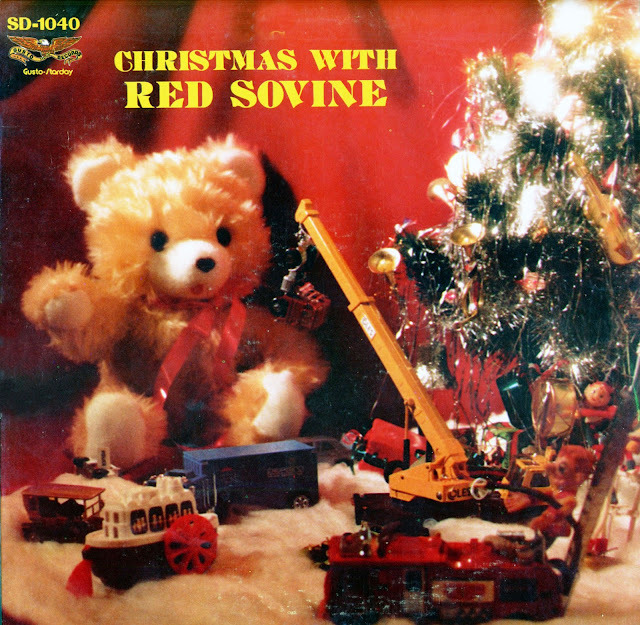 A child’s letter to Santa, crooned, inappropriately, by the dawdling adult voice of Red Sovine over country swing so leisurely that it sounds like the child narrator were drifting off to sleep to Hawaiian guitars. Autry was responsible for some Christmas classics, but this oddity has Santa as a Levi-clad, Stetson-wearing, buckboard-riding cowpoke led by horses named Buck and Pancho. Ultra-bleak, unexpectedly gorgeous tune from Don and Phil Everly deep in their country rock phase, telling the story of a drifter desperately trying to hitch a ride on Christmas Eve before he freezes to death. Over a melodramatic organ, Sovine narrates in his raspy baritone a raspy, desperately lonely letter from a divorced, alcoholic husband to his estranged wife. “Tonight it sort of tugs at the heart,” he says in a preposterous understatement. The song ends with audible sobbing. Unsurprising that the author of the nuclear-level bummer “Sam Stone” set his holiday song in prison. But the song is unexpectedly humorous and sweet, lilting and homesick, recalling a lost (and possibly murdered) love. Literally the entire Bible told as a three-minute cowboy poem, spoken with a thick rural Oklahoma accent and recasting every Biblical character as cowboys. A surprisingly upbeat electric guitar-driven country bar tune about a collection of terrible Christmas presents, the result of the titular father blowing his holiday money on huge quantities of booze. Country swing by one man and his electric guitar, sounding like he recorded the song directly into the tape deck on a rusty car. An enormously pleasant song about, in part, waiting for your chicken to lay another egg so you can make cake.